Why have so many Christians become tippers instead of tithers? In many Christian circles today, stewardship seems to be a dirty word. This is scandalous. Christians desperately need to shift their perspectives on stewardship and begin to unabashedly and joyously give of their time, talents, and treasure as a form of discipleship. 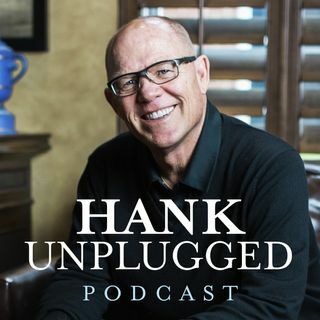 On this edition of Hank Unplugged, Larry Johnston joins Hank to discuss the impact listeners like you can make by supporting the many outreaches of the Christian ... See More Research Institute impacting the body of Christ 24/7 around the world. Topics discussed include: how the Christian Research Institute is making a difference in our post-truth culture (3:00); examining one of the core values of CRI, “In Essentials Unity, In Non-Essentials Liberty, In All Things Charity,” and the dangers of tribalism within Christianity that divides us and dilutes the gospel (5:00); Gandhi as an example of how one person can make a huge difference (14:00); Hank asks listeners to financially support the many outreaches of CRI that are making a difference in the battle for life and truth (17:15); the rising assaults on the Christian faith and freedom (21:15); what a CRI legacy partner is and how to become one (23:20); the need for Christians to shift our paradigms on the stewardship of our time, talent, and treasure as a form of discipleship (26:40); recounting testimonies of the importance of the outreaches of CRI from significant apologists such as Abdu Murray and Lee Strobel (32:35); showing the symbiotic relationship between CRI and our audience through the proverb “You can always count the seeds in an apple, but you can never count the apples in a seed” (34:50); the benefits of becoming a CRI support team member and why they are the backbone of the ministry (36:40); understanding the importance of giving and the need for Christians to shift their paradigms when it comes to the stewardship of their resources (44:15); the prayer of David and joyous giving (48:40); the impact of CRI outreaches around the world (50:50); will Christianity disappear in the West? (54:35); one of the critical roles of CRI is providing a lighthouse of truth for people facing a rapidly changing reality (57:05); the need for properly modeled Christianity in action (1:01:25); the mentorship role of CRI (1:04:30); the Judeo-Christian ethic of philanthropy throughout history (1:08:10); the need for “apologetics arms dealers” such as CRI in the battle for life and truth today (1:12:00); the major impact that encouraging testimonies have on Hank and the rest of the CRI staff (1:14:10); fatal consequences of tribalism in Christianity and the need for Christians to unite around the essentials of the historic Christian faith (1:16:10); the need for epistemic humility and the importance of being a lifelong learner in our post-truth culture (1:19:05); the Wesleyan Quadrilateral and the autobiographical book Hank is writing entitled Truth Matters, Life Matters More (1:23:05).